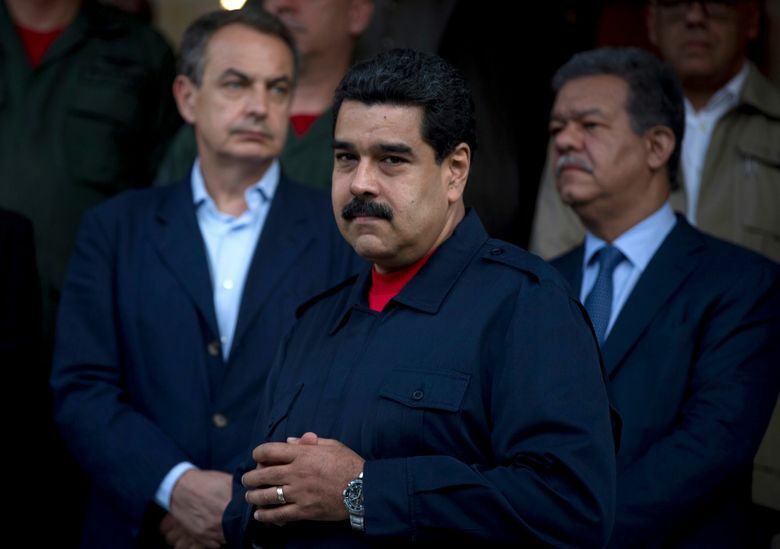 CARACAS, Venezuela (AP) — A birther debate is heating up in Venezuela as President Nicolas Maduro’s opponents seek to push the embattled socialist leader from office at any cost. 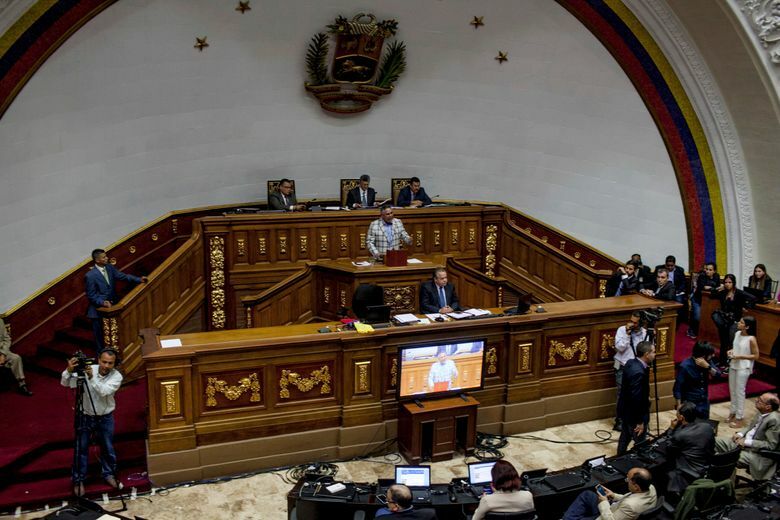 On Tuesday, the opposition-controlled congress began debating Maduro’s “constitutional situation” in which lawmakers vow to present evidence that he’s a dual Colombian citizen and therefore constitutionally ineligible to hold Venezuela’s highest office. The birther argument and allegations that Maduro has abandoned the presidency — basically that he’s not doing his job — have been gaining momentum after the opposition last week declared itself in open rebellion and called for mass demonstrations over the government’s decision to suspend a recall referendum seeking the president’s removal. 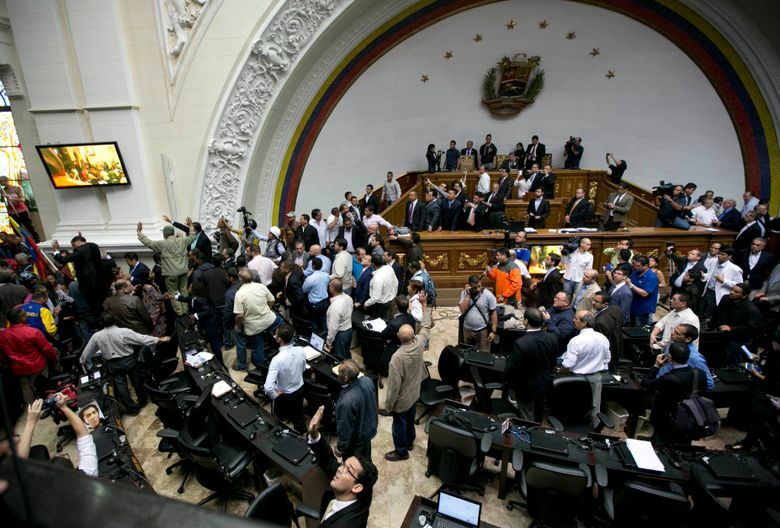 While both arguments against Maduro are seen as a stretch, analysts say they’re a natural reaction to the government’s own trampling of the constitution in scrapping the recall that offered the best hope of resolving deeply polarized Venezuela’s political and economic crisis. Ever since taking office in 2013, Maduro has been beset by unsubstantiated claims and forged documents circulating on the internet that he was born in the border town of Cucuta, Colombia. The controversy stems from his mother being Colombian. Many Venezuelans have at least one Colombian parent who migrated to the oil-rich nation during decades of political violence across the border. Venezuelan officials have long dismissed the birther claims as baseless and a smoke screen by the opposition to undermine his rule. 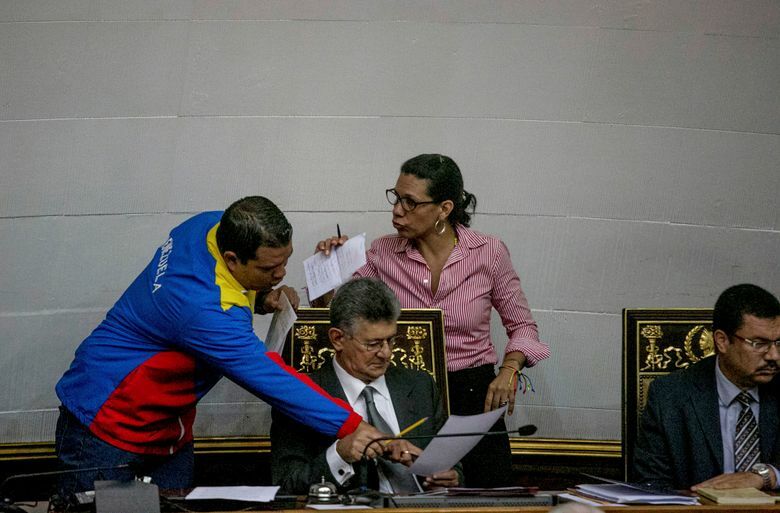 The head of electoral council in 2013 briefly flashed on TV a hand-written birth certificate registering his birth in a downtown Caracas neighborhood 53 years ago and a leaked U.S. State Department cable from 2006 also states he was born in the capital. But like the birther controversy surrounding Barack Obama in the U.S., the lack of any evidence hasn’t stopped his opponents from speculating. 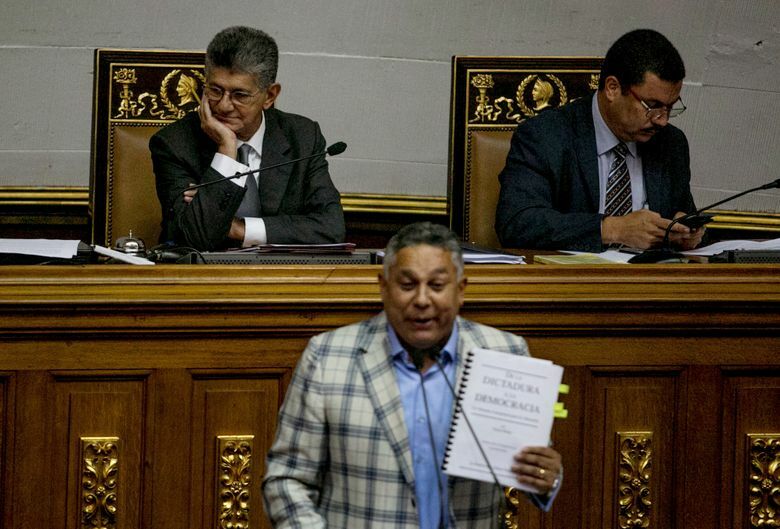 Walter Marquez, a former lawmaker and historian who has been pushing the issue, says Maduro’s Venezuelan birth certificate contains a number of irregularities, including it having been drafted two years after he was born. Maduro himself has never addressed the issue publicly. “More than a birth certificate — what we want is for Maduro to go,” Marquez told The Associated Press. Maduro has been defiant in the face of mounting criticism at home and abroad. On Tuesday, government workers and supporters are holding a rally downtown waiting for the president to arrive from a tour of the Middle East and Europe that included a surprise stop Monday at the Vatican for a private meeting with Pope Francis. 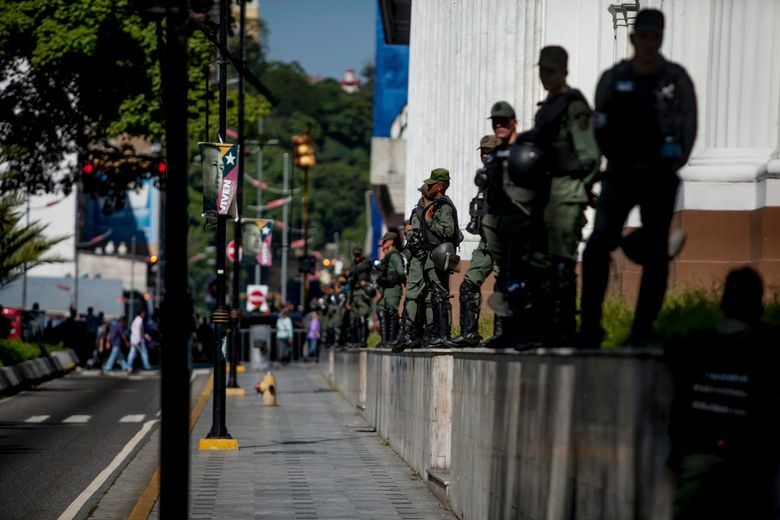 Even while chastising critics, Maduro has shown a willingness to defuse the crisis. He has agreed to a Vatican request for dialogue starting on Oct. 30 with talks in the Caribbean island of Margarita.